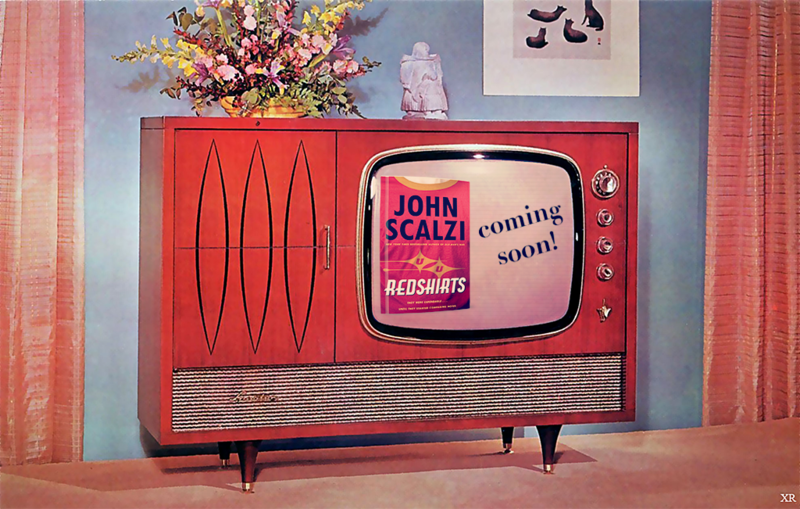 If you hadn’t heard, Redshirts by John Scalzi is coming to a television set near you. On Feb 7th, FX announced plans to adapt the novel into a limited run TV series. If they announced this over a week ago, why did it take so long for me to write about it? Actually, for at least the first 3 days, I assumed it was just an internet rumor. When it persisted, I decided to take a look at the news for myself. 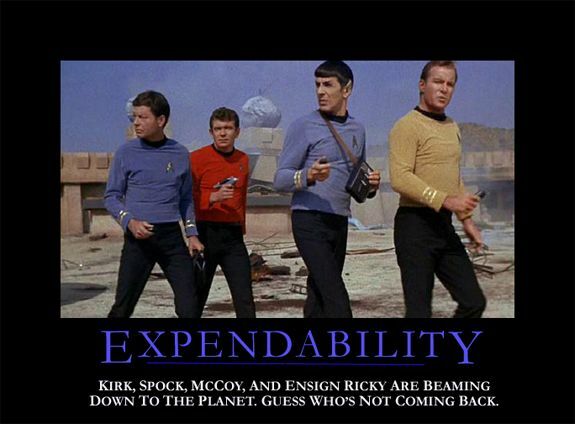 I have a soft spot in my heart for Redshirts. It was one of the first books I reviewed for GeekyLibrary and when we launched in 2012, it was our featured book. Then it was nominated for a Hugo, and I was excited. And when it won the 2013 Hugo Award for Best Novel, I was ecstatic. Redshirts certainly is popular, and I can se why. It’s entertaining, and easy to read. I definitely enjoyed it. Should it be made into a TV show? At first glance, this seems like a perfect plan. After all, it is a highly popular book that bases itself on a 1960’s TV show. I can’t say I’m sold. I’ve heard this book compared to Stranger than Fiction and Rosencrantz and Guildenstern are Dead and I like both those comparisons. It’s definitely better than calling it a parody, because it has more substance than just pure wacky comedy. This book was hilarious in the beginning, but took a more serious twist near the very end. Without giving any of it away, I’m not sure how I can see that twist being done on television. The characters have more depth in the story, and I’m hoping that they don’t turn into true parodies on screen. The high-ranking officials are one-dimensional (mostly), while we are given insight into the redshirts. 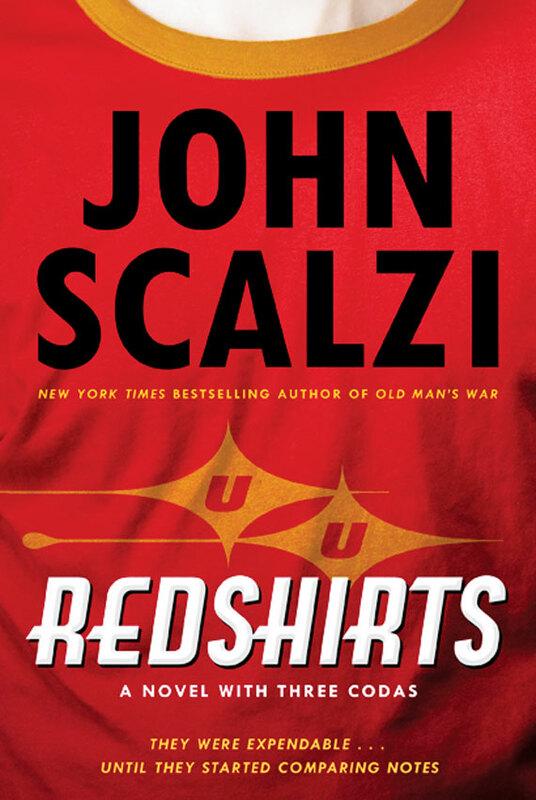 Redshirts are usually not well-developed characters, but they happen to be the centerpiece of the plot in Scalzi’s book. If it is done well, it could be a masterpiece, but my feeling is that it could easily be a disaster. Will the obvious comparisons to Star Trek: The Original Series be made visually obvious on television? This is probably the part I’m looking forward to most. I have my reservations, but I’ll probably watch it. It will probably make it to Netflix, eventually. Read my review of Redshirts, published November 22, 2012.